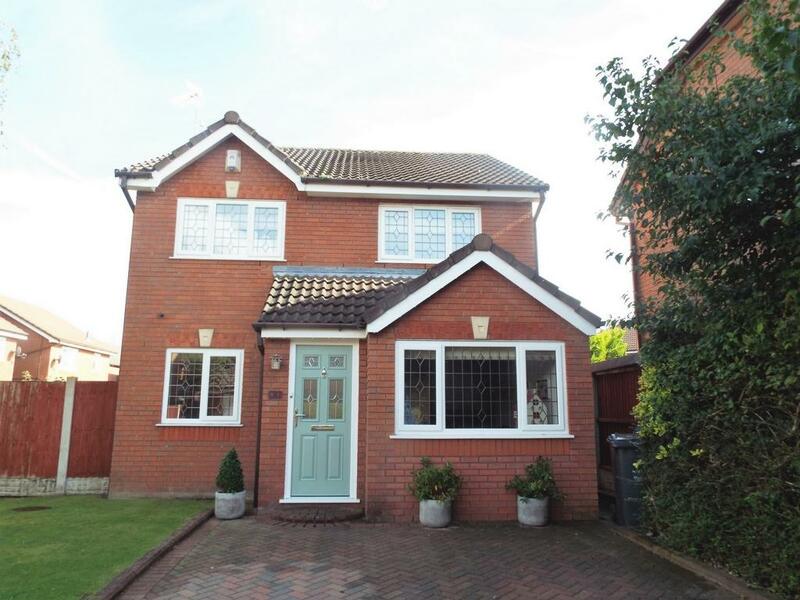 Nu Move International are pleased to offer for sale this spacious & beautifully presented 3 bedroomed detached property located in the much sought after L26 postcode of Halewood. This substantial property offers a spacious lounge with a feature Bio Ethanol fire leading through to a dining room extending through to a bright new build conservatory that opens out to the garden. A modern kitchen complete with an integrated oven and a range of modern wall and base units is situated to the left of the dining area. The ground floor also benefits from a garage conversion which now forms an additional large living area or play room on the ground floor. Located to the first floor are three well-presented bedrooms, a private shower room to the master suite and a modern, high quality fitted family bathroom. Externally, there is ample off road parking leading to the property. To the rear, there is a well maintained garden with a sizeable lawn and a raised decked area.